Jorginho's agent says he will listen to offers should Arsenal make a bid for his client in the January transfer window. The 23-year-old Napoli midfielder, who has enjoyed a new lease of life under coach Maurizio Sarri since he took over from Rafael Benitez, has been linked with a move to the Emirates and the Gunners sent scouts to watch him in action during the goalless draw with Genoa at the weekend. “I don’t know if the Arsenal scouts were in Genoa for Jorginho,” Joao Santos told Radio Crc. “I’m not surprised that the player is doing very well – especially in light of the change of coach – and that top clubs are interested in him. “One of the head scouts of Arsenal is well-known, and so I know he was at Marassi for the Napoli match. 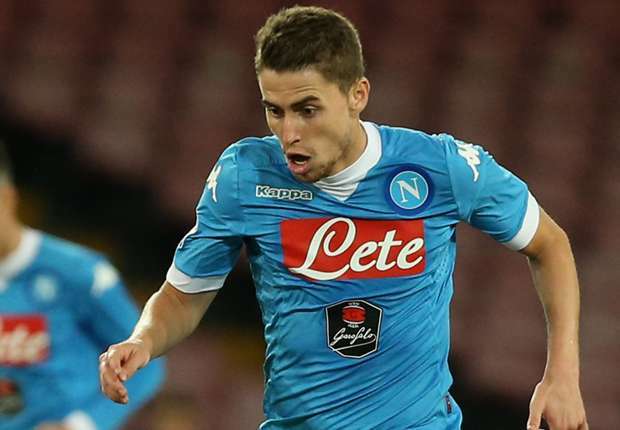 Right now we’re more thinking about Jorginho at Napoli than the transfer market. “I’m in Brazil, and when I’m back we can discuss my client’s contract. The priority is getting a call-up for the national team, then there’s the January transfer market. Jorginho, who holds dual Italian and Brazilian citizenship, has missed just one game for Napoli this season, helping the club rise to fourth in the Serie A table.